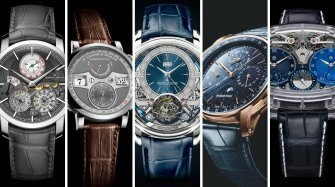 SIHH 2019 Complications? Child’s play ! 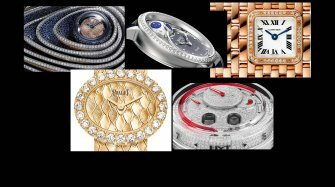 The start of 2019 has ushered in quite a raft of complicated watches – extremely complicated watches, even – after several years in the doldrums. 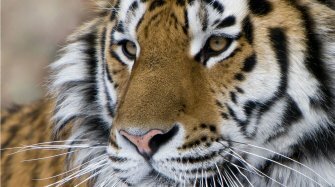 This resurgence of creativity and ambition is welcome and heartening news. When business is booming, complications follow suit. 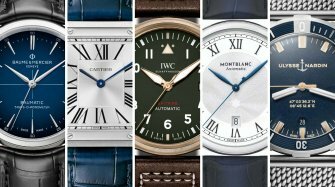 It’s pretty logical, and it’s a trend corroborated by several new watches unveiled at the SIHH, which has just closed its doors. 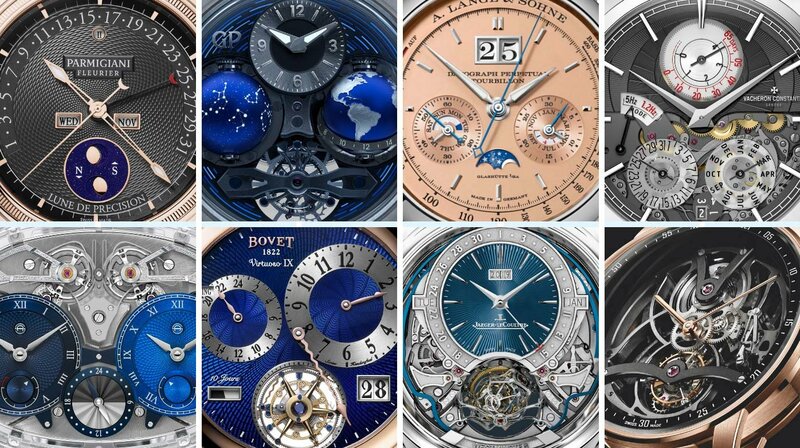 If you’re going to produce – and sell – watches priced at several hundred thousand francs, euros, dollars, whatever... you need a favourable climate. Regardless of the currency, the concept is the same. This category brings together the most sophisticated, the most innovative and the most outlandish creations the segment has to offer. 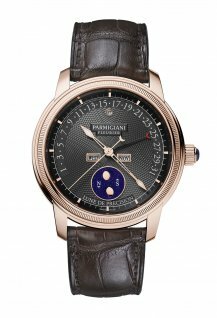 It all begins with the inevitable perpetual calendars, with which the fair was deluged, like the Code 11.59 Perpetual Calendar by Audemars Piguet, or the Parmigiani Toric Quantième Perpétuel Rétrograde. It continues with combinations featuring additional functions, like the obligatory tourbillons, which were also present in force. Classic, flying, with a double or triple axis, flat or inclined – the tourbillon has returned to a pitch of diversity and creativity that has been absent for almost three years. 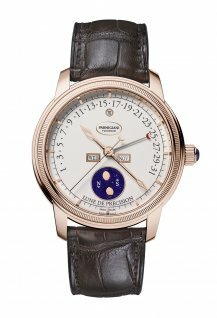 Astronomical indications were also much in evidence, as seen in Cosmos by watchmaker Girard-Perregaux, which has made outer space its major theme for the year. 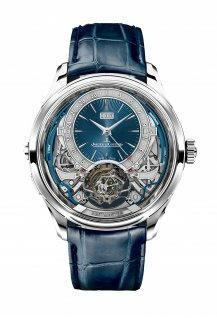 Jaeger-LeCoultre returned to centre stage with the Gyrotourbillon 5, also known as the Master Grande Tradition Gyrotourbillon Westminster Perpétuel. With a more compact flying Gyrotourbillon, a brand new, simplified and stripped-down perpetual calendar system, and a four-gong sonnerie connected to the watch crystal to amplify the sound, the watchmaker is leaving no one in any doubt of its mastery of this space. 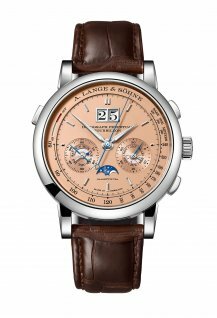 Also in the multiple complications register, A. Lange & Söhne unveiled a new white gold version of the Datograph Perpetual Tourbillon with flyback chronograph, power reserve indicator, tourbillon, perpetual calendar with moon phases and large date, all packed into an eminently wearable diameter of 41.5 mm, with a depth of 14.6 mm (which feels far less on the wrist). 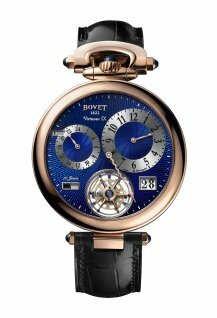 The same goes for Bovet, which has achieved a miracle of compactness. It combines its flying tourbillon, big date, generous 10-day power reserve and second time zone with reference city, with the Virtuoso IX regulator. 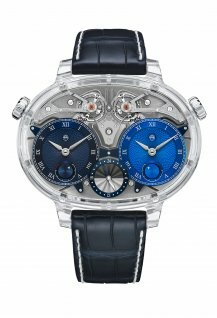 All these complications, which hitherto have been scattered across different models, are now united beneath a vivid blue guilloché dial, which also began life in a different model. Vacheron Constantin supplied the most important mechanical innovation of the fair. Not at all their usual stomping ground, but the company nevertheless introduced a watch with a completely new movement that operates on a choice of two different frequencies: 5 Hz, which guarantees greater precision when the watch is being worn, in which case it lasts four days; and 1.5 Hz to save energy when the watch is not being used. In this case its autonomy stretches to 65 days, during which the perpetual calendar of the Twin Beat continues to tick over. There was no shortage of innovation. Montblanc is forging ahead with the Metamorphosis experiment, introducing a monumental new model measuring 50 mm in diameter with two different faces. By activating a lever, the dial with its small seconds register and second time zone opens up to reveal a second series of complications. This is where we find the gigantic Exotourbillon, a date and a moon phase display. 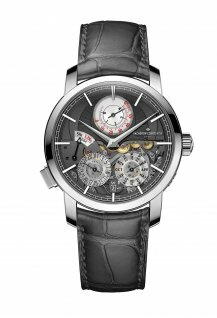 Armin Strom, a small brand as these things go, launched the most immense watch of the fair: the Dual Time Resonance Sapphire. A sapphire case measuring 59 x 43 mm houses the latest iteration of the watchmaker’s resonance movement. Two independent time zones run side by side, each with their own barrels and regulating organs, the latter synchronised by a clutch spring that helps to enhance their resonance.